Serfas® Gloves are designed not only to look great but to also provide high performance comfort and durability. 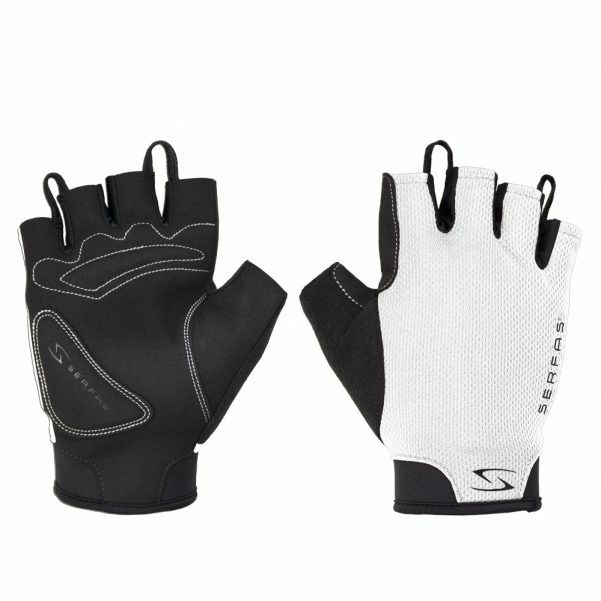 Whether your preferred riding surface is pavement, dirt, or both, we have the gloves to help keep your hands happy for those epic rides. 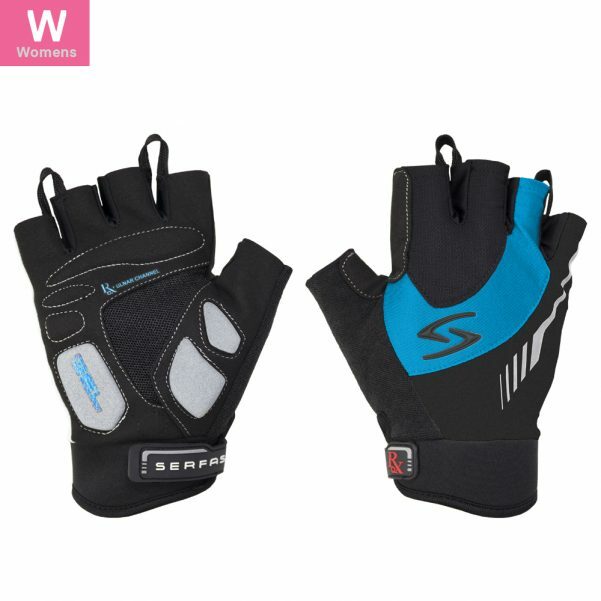 Serfas® Gloves come with a 90 Day Warranty. 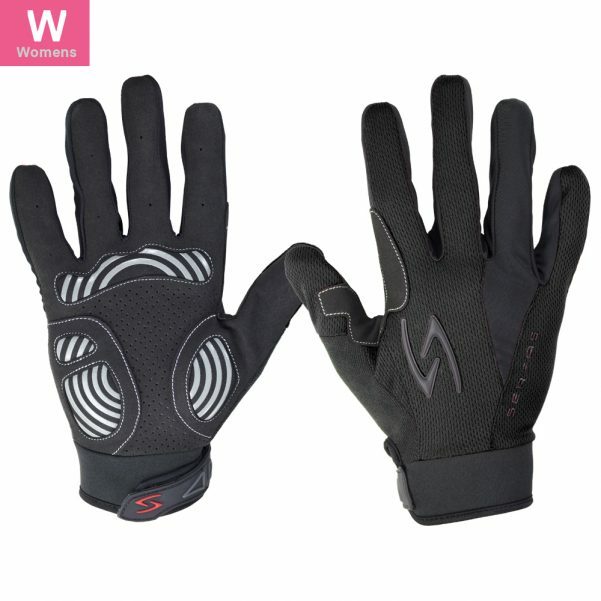 High performance breathable simplicity with minimal padding, good looks, affordability, easy-off finger pulls (on short-finger models), and constructed to fit comfortably; Available in short-finger for those who prefer a little fresh air on their digits. 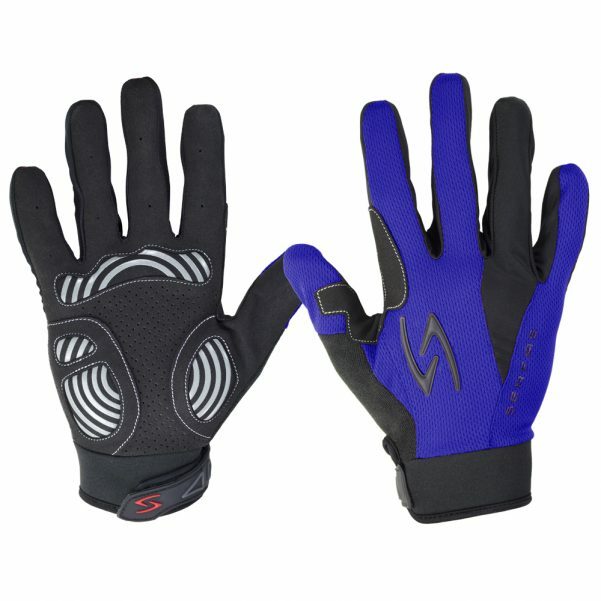 High performance breathable materials with moderate padding, silicone infused grip design, easy-off finger pulls (on short-finger models), and super comfortable Neoprene cuffs with hook and loop closure for an ultra secure fit; Available in short-finger. 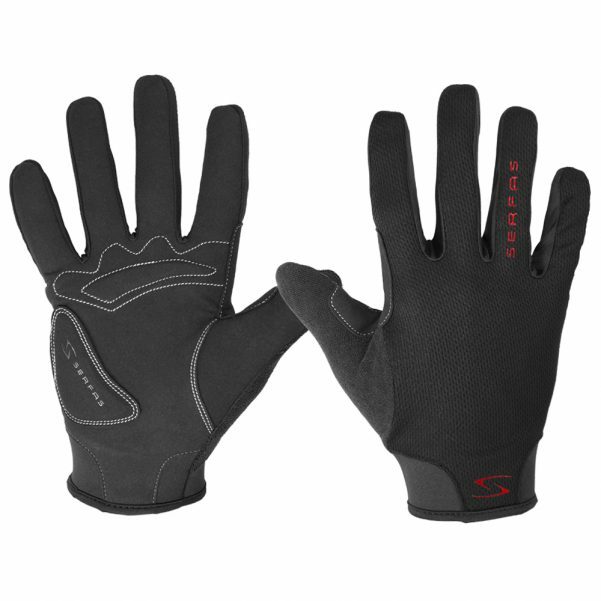 Ultimate in comfort, materials, and smart design targeting maximum reduction of hand fatigue. 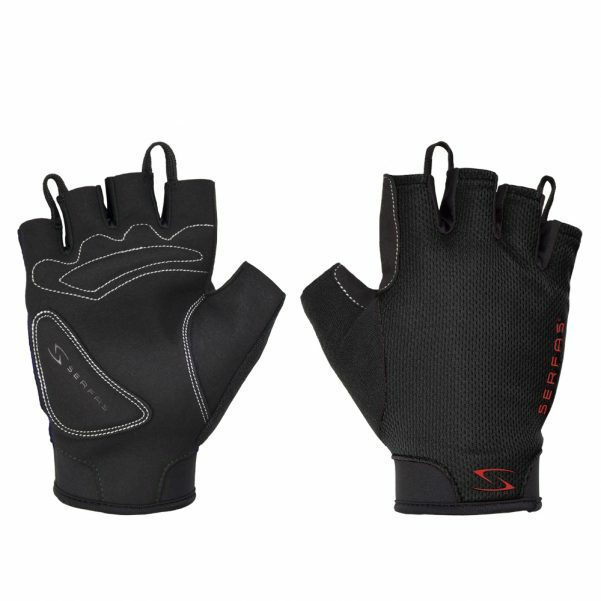 Features GEL palm and thumb pads with intelligent anatomically correct Ulnar Channel Groove spanning the palm; Smart magnetic glove-keepers for organization, built-in touch screen compatibility, silicone grips, and Neoprene cuffs with hook and loop closure for an ultra secure fit; Available in short-finger with easy-off finger pulls. 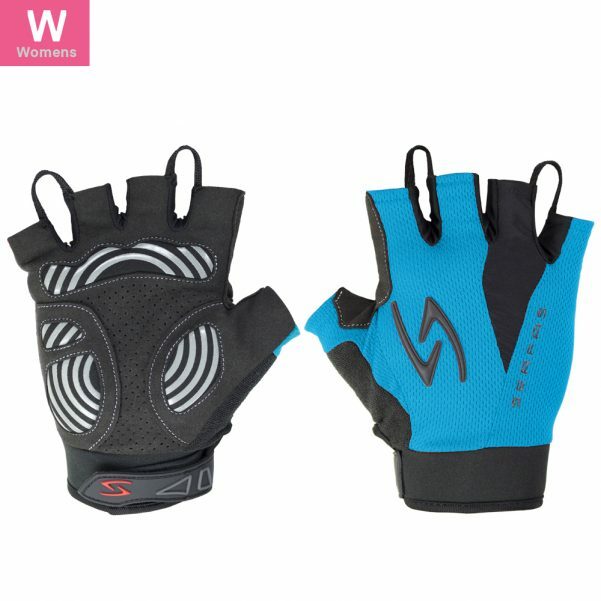 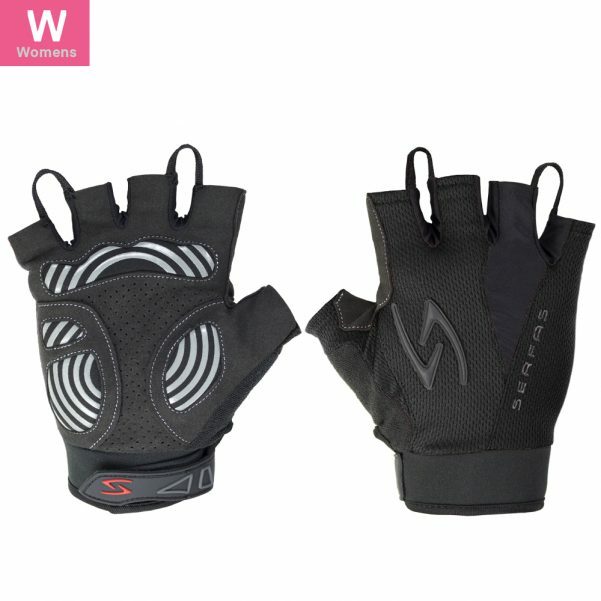 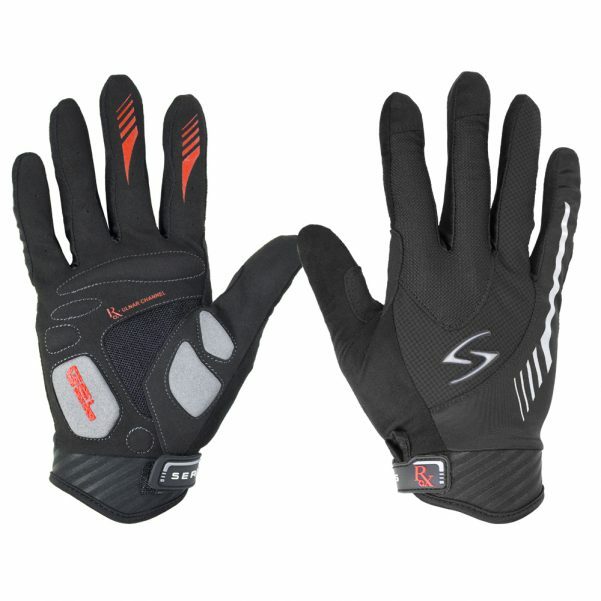 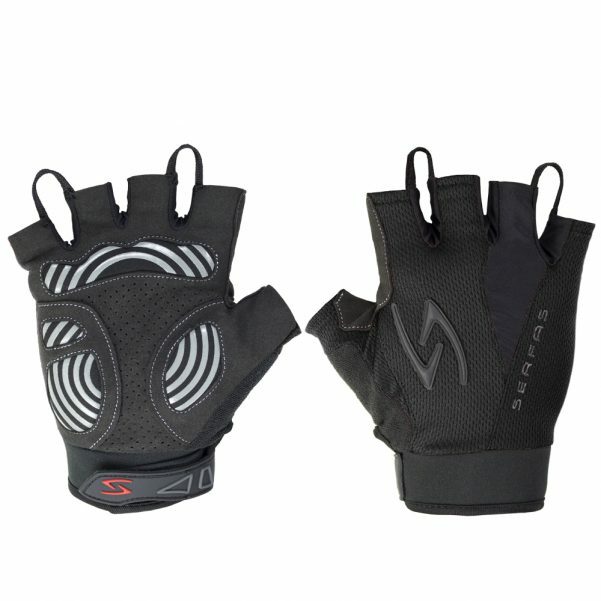 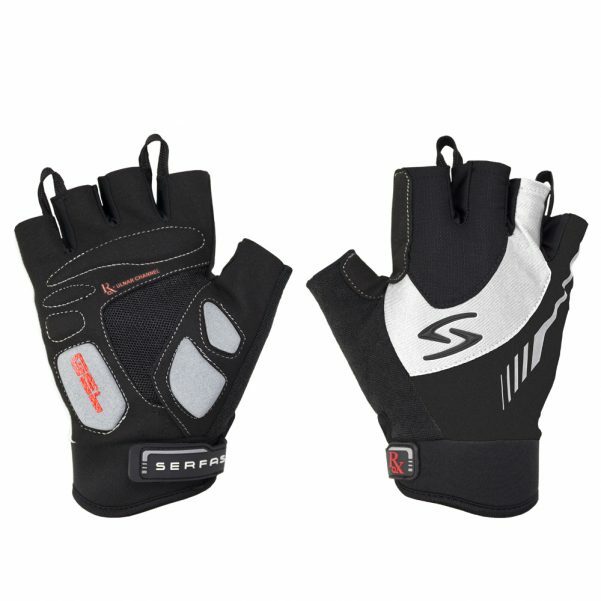 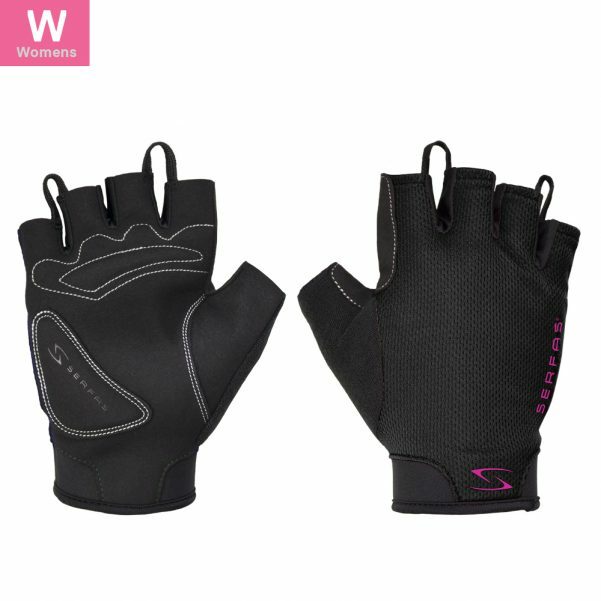 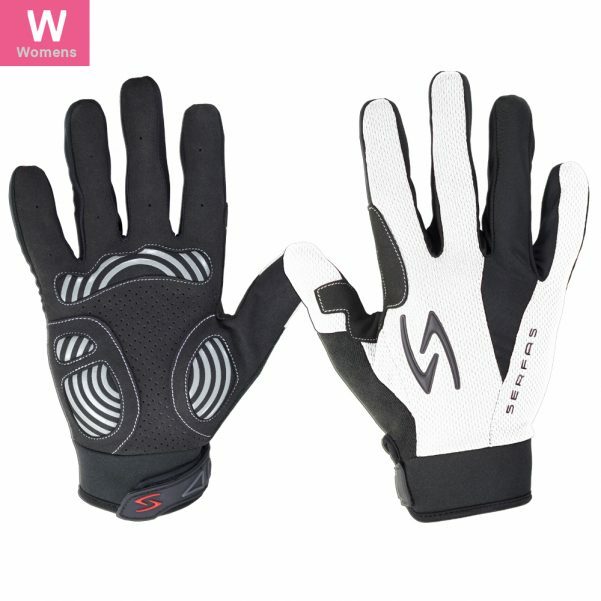 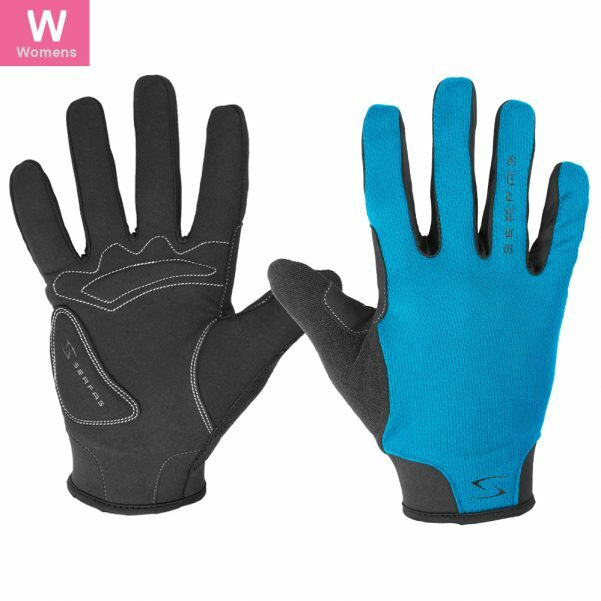 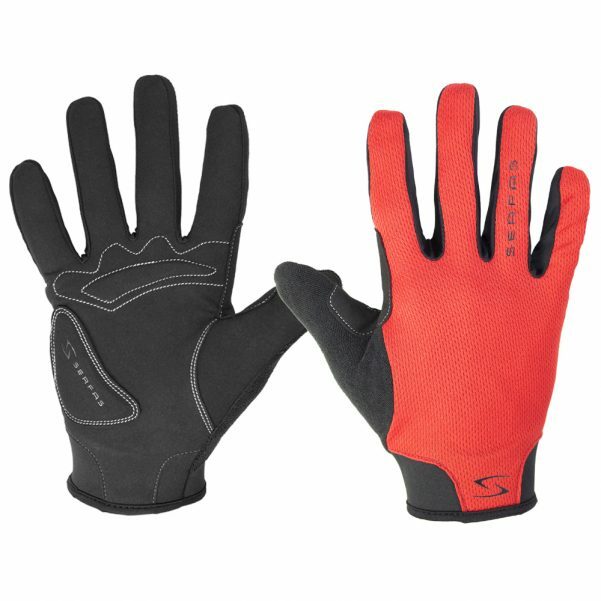 Waterproof and windproof construction for riders looking to keep those fingers nice and toasty on cold days. Features touch screen compatibility, heavy fleece lined inner, GEL padded palms, soft Neoprene wrist cuff with oversized hook and loop closure, silicone infused grip design, and smart reflective piping for increased rider visibility. Highly water resistant and windproof construction for riders looking to keep those fingers nice and toasty on cold days. 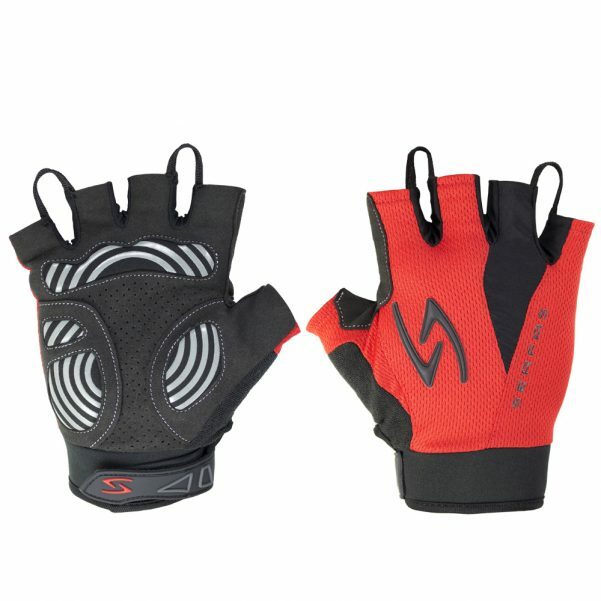 Features touch screen compatibility, GEL padded palms, silicone infused grip design, and super comfortable Neoprene wrist cuff with oversized hook and loop closure. 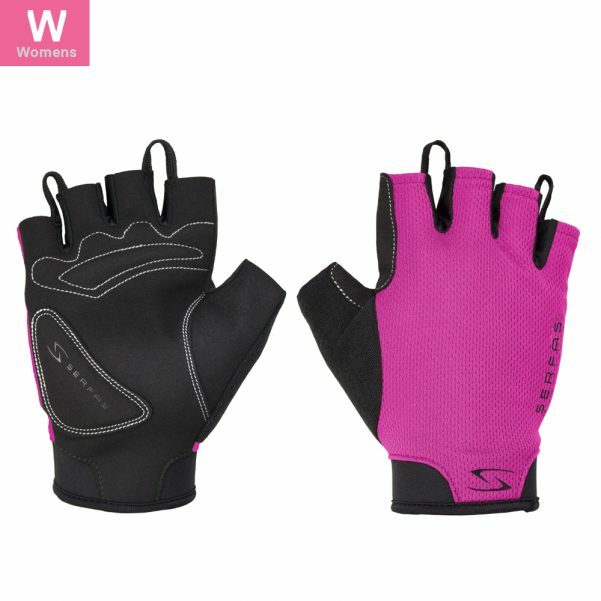 Features a smart pull-over waterproof and windproof cover perfect for those unexpectedly cold wet days; Ultra soft fleece outer construction with built-in touch screen compatibility, silicone infused grip design, and high-viz style accents with reflective paint and piping for added rider visibility.